Join a band and learn songs that you WANT to play! Meet musicians with similar music taste and get personalized coaching by our music instructors. Our instructors will help you: learn how to play & break down songs, communicate with your bandmates, negotiate solos, and gear up for a live performance. Your band will build custom setlists and play shows at venues around Davis, Woodland, Winters, and Sacramento. Monthly Rock Band Lessons are 90 minutes long, and are scheduled once a week, with concert performances every other month. Musicians that take Rock Band Lessons range from Beginner to Advanced players and will be matched accordingly. Beginners must know how to play basic chords or basic beats and have some experience in keeping time. Absolute Beginner Musicians are advised to take Private Music Lessons before enrolling in Rock Band Lessons. Fill out your information below to sign up for Rock Band Lessons. Participants must also sign an Emergency Contact, Code of Conduct and Release of Liability Form on the first day of class.  If you have any questions, feel free to email us at info@rockbanduniversity.com or call/text us at 530-746-1957. RockBand University sends communications primarily via email. You are welcome to list multiple email addresses, separate by commas. For example: amount of time you've been playing, songs you know how to play, lessons that you have taken (amount of time and teacher), school programs that you have participated in, etc. © 2019 RockBand University. Built using WordPress and OnePage Express Theme.